This is my 95th and final column for WindCheck, as my wife and I prepare to move to Bethesda, MD, where I will be seeking employment in the non-profit world — focusing on children, hospitals, diseases and people with disabilities. My wife and I will be moving to Maryland at the end of August, so this will be my second to last column. Being my final commentary, I’m going to discuss my favorite punching bag — the America’s Cup. 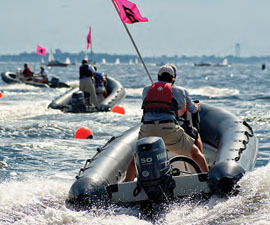 It’s also time to be looking at ways for inshore race organizers to create a safer environment for their competitors. 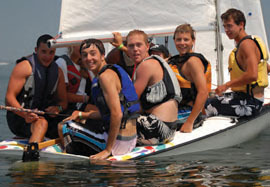 Most clubs have safety patrol boats for their regattas, particularly junior ones, and they should be lauded for their efforts. Let me start this column by admitting that I was not the perfect sailing parent, making my share of mistakes along the way. However, I think I’ve observed the right and wrong ways to rear a capable young sailor. 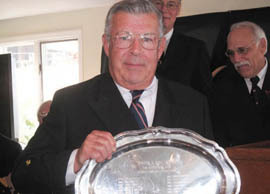 This past winter I had the opportunity to serve as PRO [Principal Race Officer] several times for frostbiting at American Yacht Club, Rye, NY. What makes frostbiting the most fun is the simplicity of it. There is no Notice of Race, nor is there a six-page set of sailing instructions written by a lawyer. Results are not prepared by an online scoring system, and there isn’t a code flag to be seen. We knew that Bill Sandberg’s Sound Off! 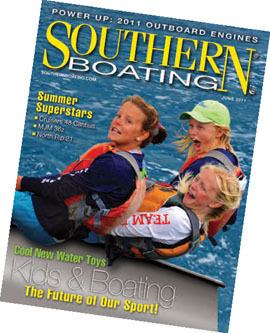 column in our September issue, entitled “Why Kids Don’t Want to Sail,” would strike a chord with our readership. Below are responses that reflect people’s opinions on Bill’s insight into this oft-discussed topic. The annual meeting of the International Society for the Perpetuation of Cruelty to Racing Yachtsmen (ISPCRY) was held this year at Sea Cliff Yacht Club in Hempstead, NY on October 30.